Create new unit, edit and delete customs duty scheme. 1. 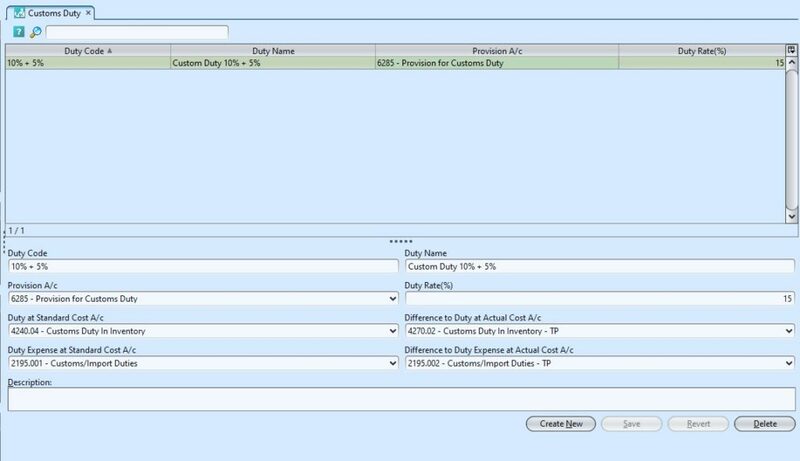 Click on customs duty scheme to be updated, it will show the details at the bottom half of the screen for the selected scheme. 1. Click on customs duty scheme to be deleted, it will show the details at the bottom half of the screen for the selected scheme.